Professor Steckel has been with NYU for more than 20 years. His primary research areas of interest include marketing research, marketing and branding strategy, approaches for one-to-one marketing, managerial decision processes and methodologies for measuring consumer performance and behavior. Professor Steckel has published numerous articles in publications including Journal of Marketing Research, Journal of Retailing, Marketing Science, Interfaces and Journal of Consumer Research. He was the founding president of the INFORMS Society for Marketing Science. 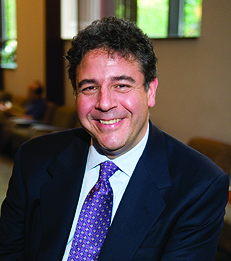 Before joining NYU Stern, Professor Steckel held professorial positions at University of California at Los Angeles and the University of Pennsylvania. Currently, he is a co-Editor-in-Chief of the journal Marketing Letters.